Join the Osborne family for some fun in the sun and rediscover the Ocean City of your childhood. The Osborne's Inn is located at the corner of 15th & Wesley. Since 1974 Frank and Peggy Ann Osborne have owned and operated this beautiful Guest House. A one hundred year old Inn with all the amenities of the 21st century, this Grand Old House offers a nostalgic beach-like charm. 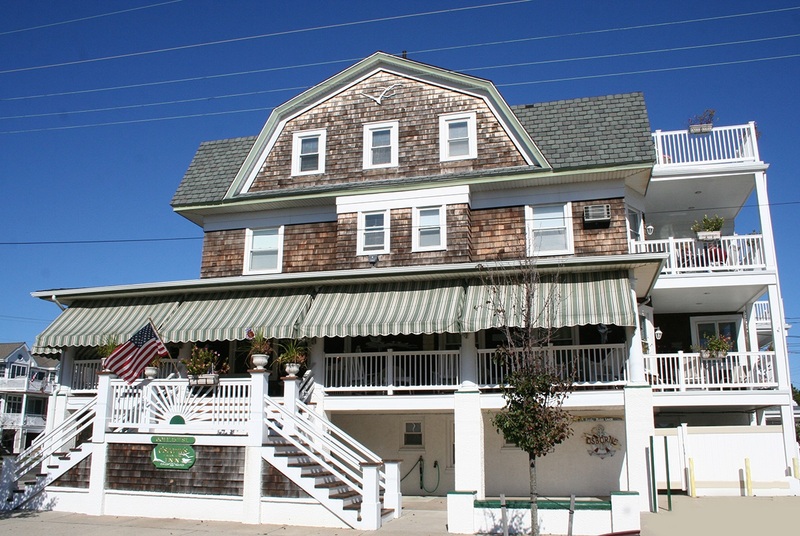 From the sprawling porch of one of the last remaining Guest Houses on the barrier island of Ocean City, the sleek wooden floor boards of the Inn attest to countless stories and memories. Rocking chairs and friendly faces await your visit. Remember the Ocean City of old? When time passed a little slower and people were a little friendlier? 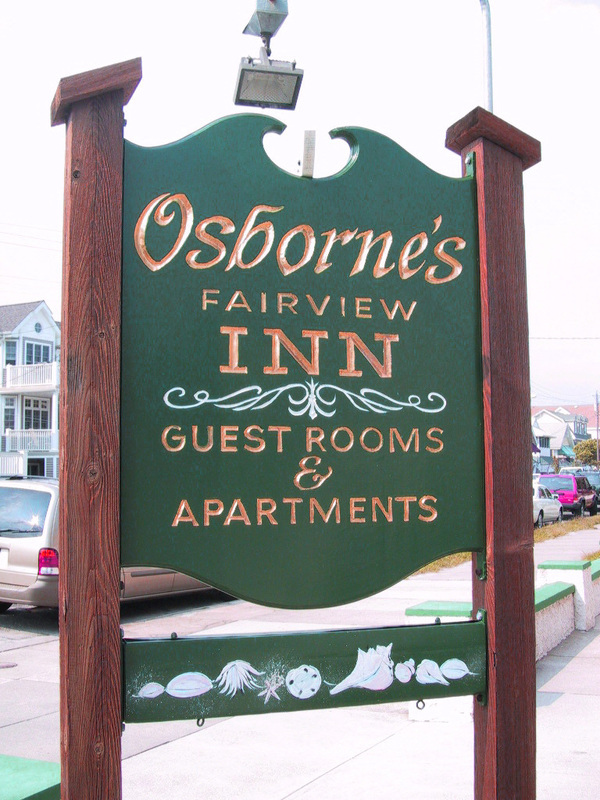 Well book a room at Osborne's Inn and rediscover the Ocean City of your childhood. This Ocean City institution is truly a family-run business. For 46 years Frank and Peggy Ann Osborne have been spending the summers with their family, extended family and so many treasured guests - it seems like they opened their place only yesterday. Conveniently located 50 yards from the beach and boardwalk. Boardwalk shops, restaurants and amusements begin just one block north at 14th Street. Osborne's provide guests with beach tags. Morning coffee is provided each day for room guests. Customer satisfaction is their number one priority. Osborne's rates are reasonably priced. Come stay at this family-friendly vacation home and continue to make memories that will last for the rest of your life. Check out the latest on our Inn. Click HERE to go to the Articles section of this website. You'll be happy with what you see. At least the article makes all the Osbornes 'smile'. Hope you will also. Thanks for the memories. Just a few steps from the beach and boardwalk. The boardwalk's main attractions are only a block away at 14th Street. Park your car and leave it. Who wants to drive around on vacation? Not us.